The very best New England recipes from America's most beloved fisherman -- and her mother! 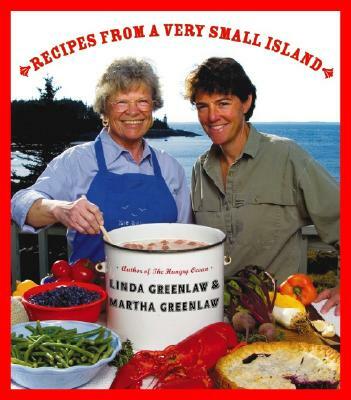 A New England cookbook from Linda Greenlaw and her mother. Linda Greenlaw has already let readers in on the thrilling, often hilarious onboard lives of fishermen. Now she and her mother reveal what happens onshore -- in fishermen's kitchens. Packed with colorful anecdotes about seaside life and brimming with more than seventy-five delicious recipes ranging from Penobscot Bay Clam Dip and Point Lookout Lobster Salad to Fishermen's Beef with Guinness, Down East Crab Cakes, and Maine Blueberry Pie, this collection showcases the talents and idiosyncratic charms of the Greenlaw family, as well as the delicious cuisine of coastal New England. Written in Linda's inimitable and witty style, Stuffed to the Gills is a cookbook that you'll want to savor, and you won't be able to resist serving up its delicious New England classics to your hungry crew! Linda Greenlaw has been a deep-sea fisherman for 18 years, becoming the first and only female swordfish captain in the Grand Banks Fleet. She was raised in Maine and graduated from Colby College. Greenlaw now lives on Isle au Haut, Maine, where she captains a lobster boat.